TPN - The Pallet Network is one of the UK’s leading palletised freight distribution networks, offering Next Day, Premium, Economy and Tail Lift services throughout the UK and Ireland as well as Europe and Scandinavia. 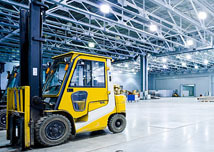 The Pallet Network was founded in 2000 in an old aircraft hangar near Doncaster, with the aim of providing a cost-effective and reliable palletised distribution solution. Network growth as a result of consistently high service levels soon led to a move to the Midlands, enabling TPN to continue to develop and grow. Continual investment and focus on improving our operation have led us to our current purpose built 367,500 sq. ft Hub which opened in January 2014. With state of the art CCTV and undercover load checking areas, we are fully equipped to ensure that every pallet reaches its destination on time, on budget and in excellent condition. TPN Members, independent transport companies in their own right, collect freight from their customers, consolidate and trunk that freight to the Hub facility at Minworth. UK TPN has an enviable network of over 100 of the best independent transport companies throughout the UK covering every postcode, every day, offering a low cost, high quality distribution solution. The Network also covers 98% of the UK postcodes on a Next Day Service. Ireland TPN Ireland is the only true pallet network covering all the counties of Ireland. They are the only network in Ireland to have achieved ISO9001:2000 accreditation for both the central hub and for every network depot. They are the only Irish pallet network with an indoor hub facility. 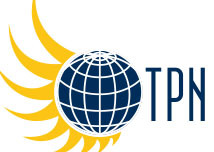 International TPN offers a wide range of European and Scandinavian transport services through their unique partnership with some of the biggest names in freight distribution, a truly pan-European network. 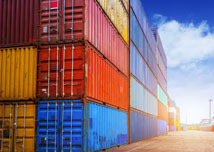 TPN can offer both import and export services throughout Western and Eastern Europe as well as Scandinavia. TPN Connect e-POD has been designed solely with our Customers in mind. All pallets scanned both inbound and outbound to reduce errors and provide online Track & Trace information viewable live. 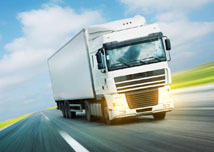 HD CCTV for freight tracking and incident investigation. After loading, vehicles are checked, bays are checked and adjoining bays also checked for errors. Resulting in an error rate currently 0.0005% against pallets handled YTD. Loads checked by a supervisor before departure. Facilities and time is provided at TPN Hub for drivers to inspect their loads and secure prior to departure and to inspect and unsecure loads prior to unloading both under cover and protected from inclement weather. Operations Audit team police strapping of Collection and Delivery vehicles at Depot level as part of the audit procedure to further drive down incidents of damage to goods whilst in transit. TPN - The Pallet Network is committed to being the premier service provider within the Palletised Distribution Network sector. TPN was formed to provide regional hauliers and transport providers with the opportunity to work as a national and international business without having to implement their own infrastructure. TPN does not aspire to be the largest Network by pallet volume in its sector but does aspire to be the Number One service provider within its sector. In order to achieve this, the Membership and Hub operating businesses must work in tandem to ensure the customer is always put first. Each constituent part of the Network must have a “Can Do, Will Do” attitude to ensure we reach our stated goal. Every Network Member must treat each other’s freight as if it were their own ensuring customer satisfaction prevails. It should always be remembered that customers have a choice of service provider and we are privileged they have chosen TPN and its Members. Every Member of the Network is a part of it through choice. TPN is proud of the fact that 50% of its Members have been with the Network for over 10 years. We would welcome the opportunity to meet with you and talk further about our services and how we can be of benefit to your business. Please click on The Pallet Network to find out more about the network or phone us to find out how we can help.